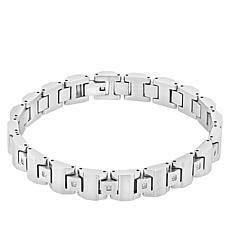 For the man with impeccable taste, the stately box link is an easy choice. 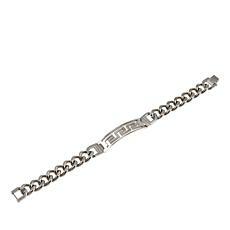 Distinct details, like a two-tone finish, make this stainless steel bracelet stand out from the rest. 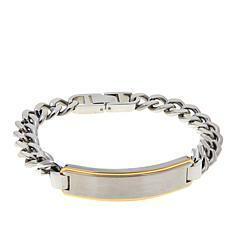 For the man with impeccable taste, the classic link bracelet is an easy choice. 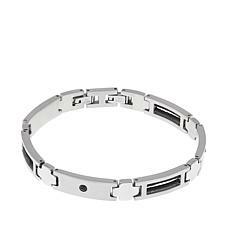 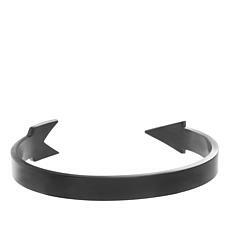 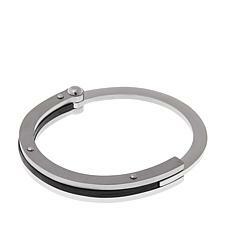 Distinct details, like a satin finish, make this stainless steel bracelet stand out from the rest. 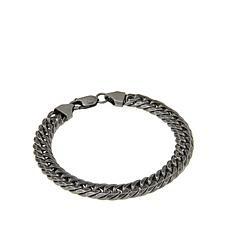 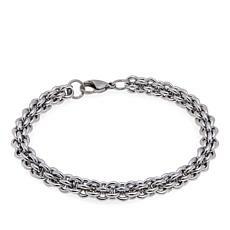 For the man with impeccable taste, the stately curb chain is an easy choice. 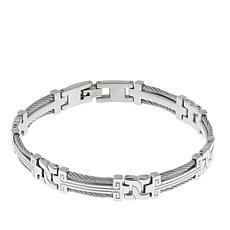 Distinct details, like oversized links and a goldtone finish, make this stainless steel bracelet stand out from the rest. 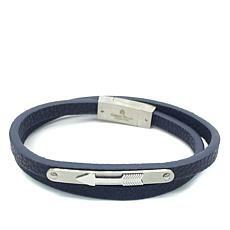 Reminiscent of a favorite timepiece, this stainless steel bracelet offers stately style, distinct blue details, plus an easy-to-wear foldover clasp design. 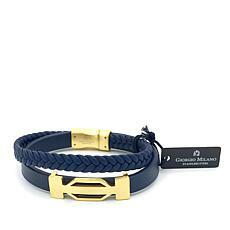 Help him navigate his way across the seas of style. 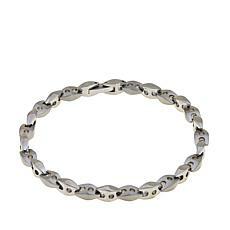 These polished mariner links provide just the right finish to guide him toward an easy everyday look. 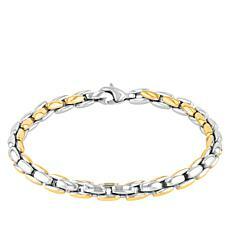 Bold and iconic, this bracelet transcends tastes so he'll always be pointed in the right direction. 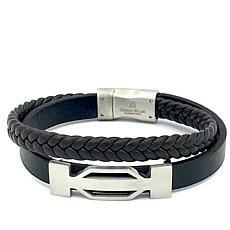 Confident yet effortless. 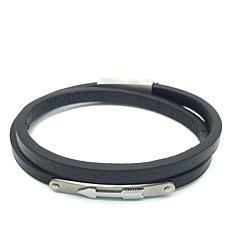 Go with this clean and modern ID design for statement style that gets the messaging just right. 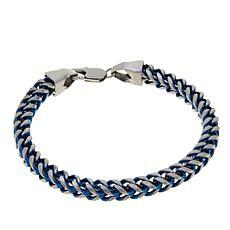 Curb appeal: not just for houses anymore. 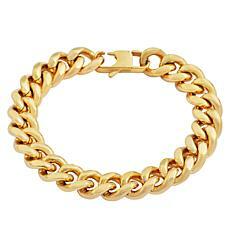 A versatile staple, the classic chain link proves its mettle as a tried-and-true wardrobe-builder. 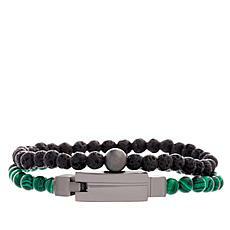 You've just got to stop and snap it up. 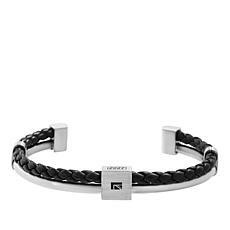 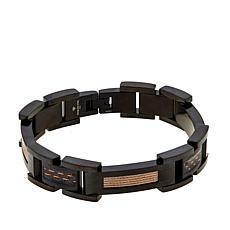 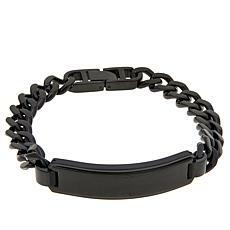 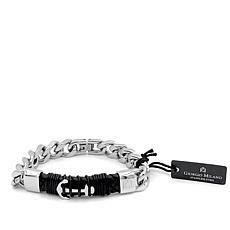 Black Stainless Steel Men's Engraved ID Bracelet The Black Stainless Steel Men's Engraved ID Bracelet is a sleekly designed piece that combines a classic look with modern masculinity. 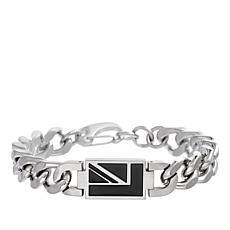 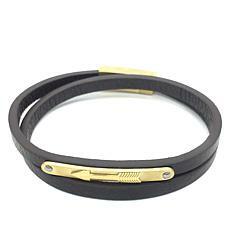 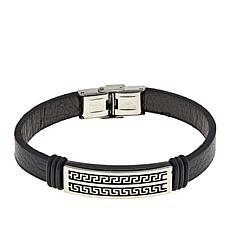 Excitingly fresh elements of black enamel and engraving enhance this masculine bracelet. 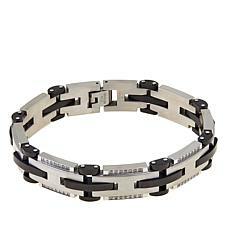 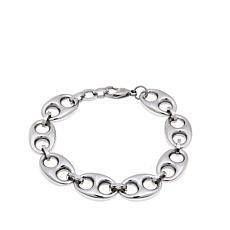 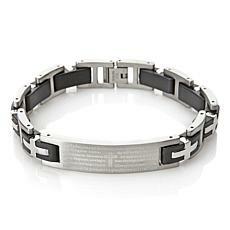 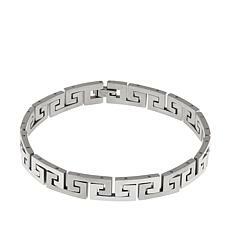 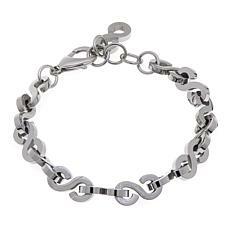 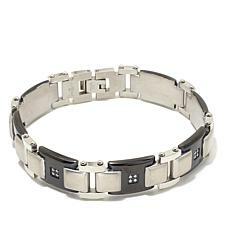 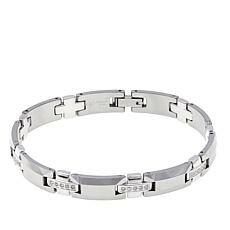 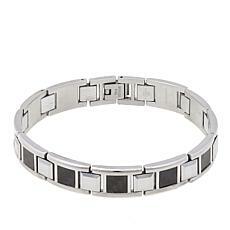 Make a powerful statement when stepping into a room, party, or nightclub by wearing a men's stainless steel bracelet. 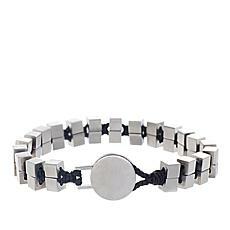 Stainless steel has a rugged and masculine look and is sure to turn heads. 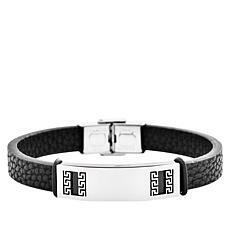 Wear your stainless steel jewelry with a sharp pair of black jeans, motorcycle boots, and a black leather jacket while riding your Harley. 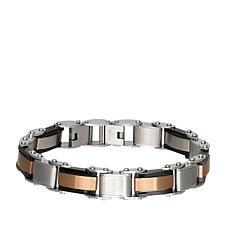 Wear a wide stainless steel ring with this ensemble to complete the motorcycle rider look. 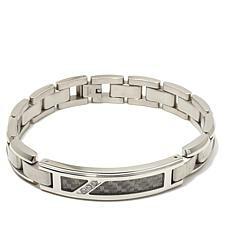 Or go with an elegant look! 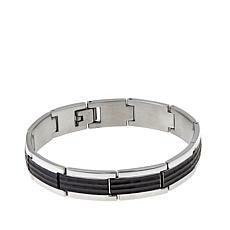 Wear a handsome stainless steel bracelet with a well-cut silk suit and fine leather loafers. 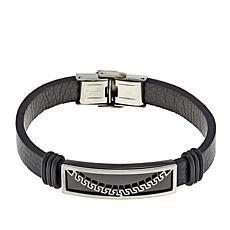 This is a look that will leave a lasting impression! 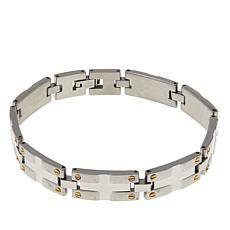 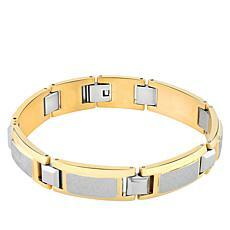 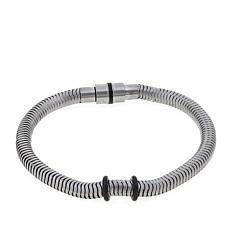 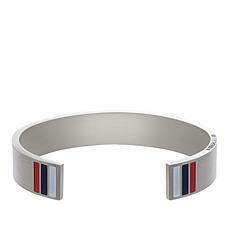 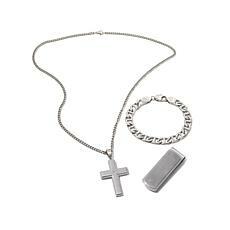 Stainless steel jewelry for men comes in many styles making it easy to change up your look. 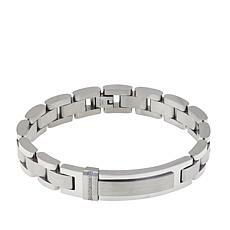 You can wear one style for the day to look rugged in and change to another design for a romantic night out on the town. 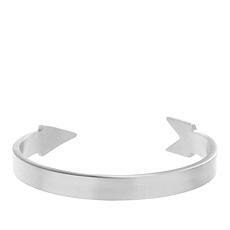 Because stainless steel does not rust, these bracelets make a perfect gift for the sailor man in your life. 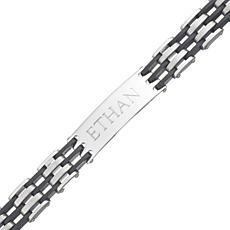 For extra luck on his sailing adventure, gift him a stainless steel necklace with a compass or anchor pendant. 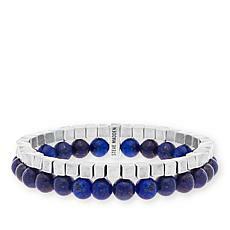 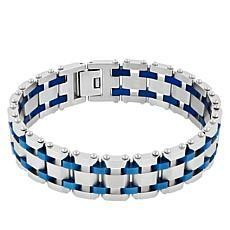 Be bold, be innovative, be creative and shop HSN for that perfect men's stainless steel bracelet.